7 Myers Dr. Unit A Mullica Hill, NJ 08062 // Need Directions? Let Us Fix That for You! Mullica Hill Family Dental knows no one likes having damaged, broken, or missing teeth. You don’t feel your best – and your overall health may suffer, too. When teeth are absent, your facial structure becomes compromised and can result in a “sunken-in” appearance. Eventual bone loss is also a real possibility. When teeth are damaged, they can become painful or infected, interfere with chewing, speaking, eating, and even laughing. When teeth are cracked, broken or absent, Drs. Bo and Christina Levitsky can help. …We’ll Help You Find It. We offer crowns, bridges, fillings, dentures, implant restoration and more! Dental implants are the #1 gold standard tooth replacement solution for dentists and patients alike. They are custom-fitted and can support more than one tooth—they are also able to anchor bridges, partials, or a complete new set of dentures. Dr. Bo & Christina Levitsky can top off your implant, bridge, partial or dentures with beautiful crown restorations that look like natural teeth and secure your smile for good. 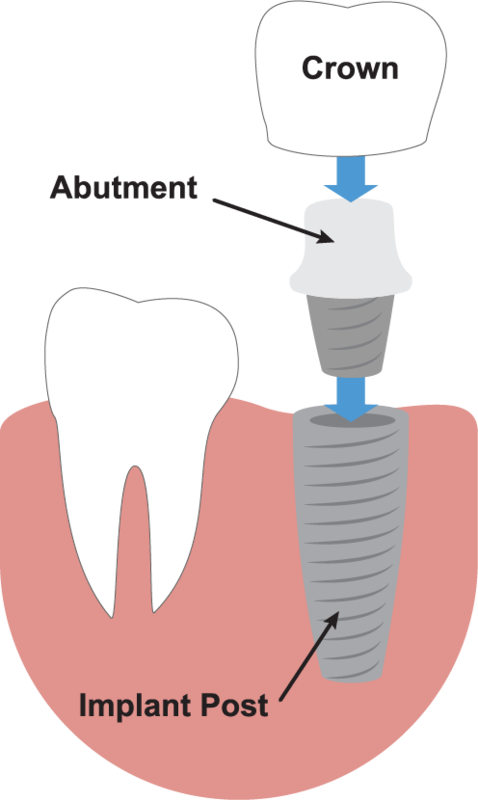 Today’s fillings are constructed from durable porcelain or composite resin materials. They are safe, able to withstand normal wear and tear and withstand temperature changes with ease. Dr. Levitsky color-matches fillings with your natural teeth for a uniform, aesthetically pleasing look. Inlays and onlays are intermediate restorative solutions that fall between a filling and a crown. They are constructed of similar materials but can withstand greater chewing pressure and even outlast fillings. They are often less expensive than crowns and are made to match your tooth color. 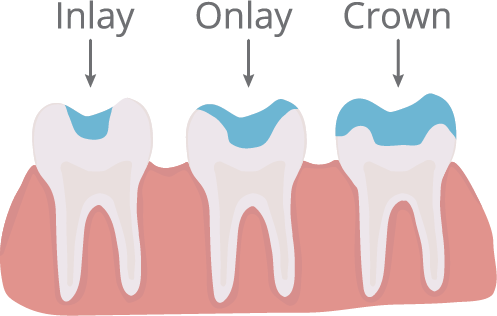 Ask Mullica Hill Family Dental if an inlay or onlay is right for you! A crown may be what a badly decayed or damaged tooth needs to bring it back full health. A crown is a tooth-shaped cap that fits over remaining healthy tooth structure, strengthening a compromised tooth enough to function as it should. Crowns are also constructed of durable porcelain or composite resin and are also color-matched by Mullica Hill Family Dental for a seamless blend with your natural teeth. Contact us today for more information! Missing most of your natural teeth or dealing with uncomfortable dentures that don’t fit well prevent you from living your best life—so Drs. Bo and Christina Levitsky have different solutions available to suit your needs. We offer traditional dentures customized to your natural bite made of the most durable and ceramic acrylic—or we can assist you with completion of a set of implant-supported dentures. No question is a stupid question at Mullica Hill Family Dental! As with dentures, we have different options available to suit your needs. We can fabricate traditional removable bridges and partials or complete permanent appliances that have been anchored to the jaw with implants. Give us a call today—we’d love to smile with you! If you’re experiencing toothache, pain or swelling, you may have an infection in your tooth that requires a root canal. Dr. Levitsky makes a small access hole in the tooth and carefully removes the infection, sterilizing and filling the disinfected chamber to prevent further infection. The finishing touch is a crown to boost the strength of the tooth. Root canals tend to get a bad rap, but these days they are no more complicated than getting a filling. Give us a call or schedule an appointment with Mullica Hill Family Dental online today! * Open every other Saturday. More office hours to be added as we grow. Please call us at (856) 214-2036 or fill out the form below to request an appointment. Mullica Hill Family Dental wants to remind you to put your benefits to use before they expire December 31st! Schedule an exam and cleaning to keep your smile healthy through the holidays. We look forward to seeing you!